Episode 174 is Bob Page. If you want to learn or improve upon on EMS topics such as 12-Leads and Capnography and many more while having fun, then Bob Page is the educator and instructor you want. 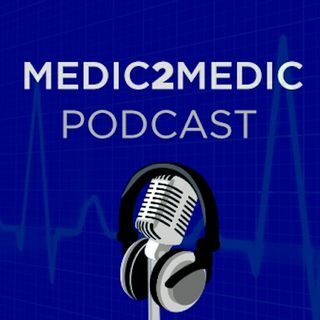 Bob discusses how and why he became the award winning educator as well as we talk about the current EMS state of education. Bob Page is an internationally known speaker, instructor, author, and paramedic. He is recognized for his energetic, humorous and motivational style. Bob takes ordinarily dry and ... See More hard to teach topics and transforms them into a fun, learning experience. Bob has been an instructor for almost 4 decades teaching a variety of adult education courses from customer service to advanced medical care. He has presented over 3000 seminars worldwide. He was recognized by his peers in Missouri as Missouri’s “Most Creative Educator” in 2009 and was awarded the Legends That Walk Among Us Award from NAEMSE is 2012.